This entry was posted in Uncategorized and tagged Edward II, Elizabeth I, English history, execution of Mary Queen of Scots, James VI and I, Jane Dunn, John Guy, Lady Antonia Fraser, Mary Queen of Scots, Mary Stuart, Queen Elizabeth I, Richard II, Royal Society of Edinburgh, Scottish history, Stuart dyansty, Tudor dynasty, Virgin Queen by Orthodox in the District. Bookmark the permalink. An interesting, but flawed, analysis, I think. It is arguable that the success of monarchy depended to a great extent on the relationship of the monarch with the most powerful landowners in the kingdom. Magna Carta is an important watershed in the history of English monarchy, but both before and after 1215 there were kings whose reigns were destabilised by poor relations with their barons: following the death of Henry I, son of William the Conqueror, there was a civil war caused by the existence of two claimants to the throne, Henry’s daughter Matilda (Henry’s preferred choice) and his nephew Stephen. Matilda didn’t gain the support of the barons because she was a woman, so Stephen eventually became king, but he was a poor one who didn’t get on well with his supporters. John we already know about in connection with Magna Carta, but Edward II, who reigned 100 years later, was executed, allegedly for his unnatural relations with his favourites, And 72 years later, Richard II fell out with his barons over his high-handed taxation policy, and was eventually deposed and executed by his cousin Henry Bolingbroke, who became Henry IV. The reign of Edward IV had to be secured by a civil war, and depended on the support of the Earl of Warwick. His brother Richard III, another poor king, was defeated in battle by Henry Tudor, who became Henry VII and the founder of the initially strong Tudor dynasty. I think the variable fortunes of the monarchs who reigned before Elizabeth I suggest that the waxing and waning support of the barons is an important factor in the long-term decline of the English monarchy, and that the balance of power between the the monarch and the barons (and later powerful commoners) is crucial to the evolution of parliamentary government and its role in the limitation of the monarchy. 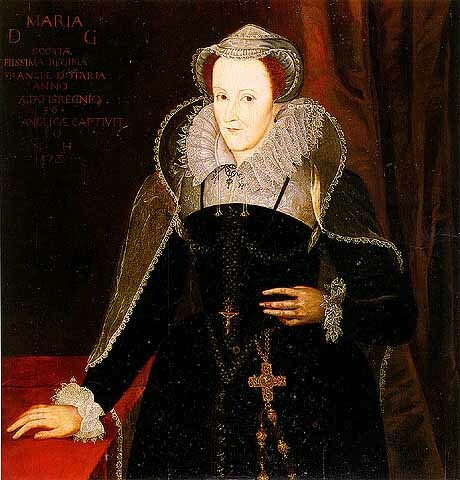 The execution of Mary, Queen of Scots, was, I would argue, an entirely characteristic development in that evolution. Thank you so much for sharing this, Meghan Ferrara!